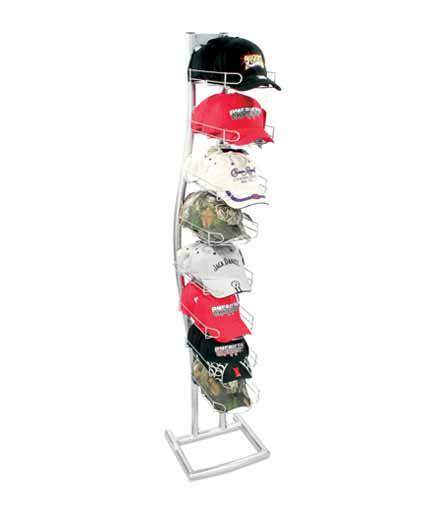 Our CAP-3 is our #1 selling counter hat display rack. This unit is simple and affordable. Featuring all-wire construction, the CAP-3 includes 3 pockets which hold approximately 24 caps in total. The CAP-3 has a removable base and cap pockets which enables the unit to ship in a relatively flat box. It also comes with a built in sign holder and black powder coated finish. 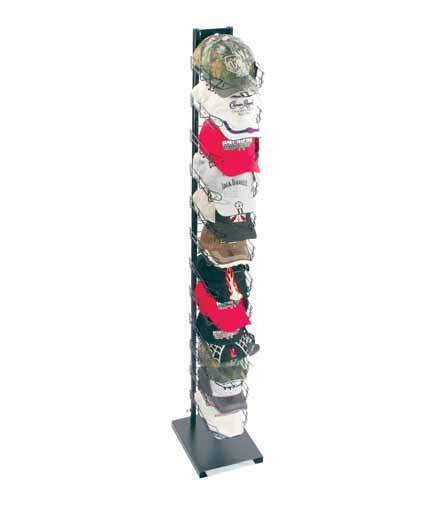 The CAP-3 is our number #1 selling counter hat display for a reason. 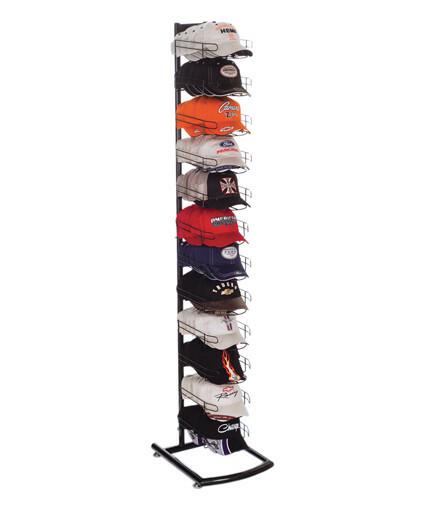 It is very affordable relative to other hat displays on the market and is highly versatile. Most of our customers use it as a counter display, but the base can easily be removed so that the unit can be hung on grid. The built in sign holder provides an opportunity to add a custom header to help build your brand. The CAP-3 also has a relatively small footprint at 8″W x 13″D. 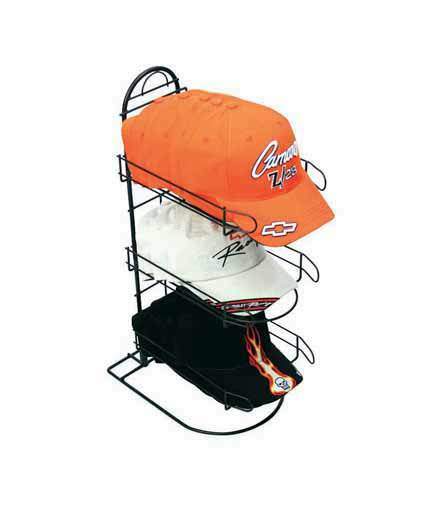 Aside from the fact that this hat rack is a very economical, the best thing about this cap rack is that it focuses all of the attention on the hats. The display is simple and minimalistic which enables shoppers to direct their attention to the product while the display disappears in the background. 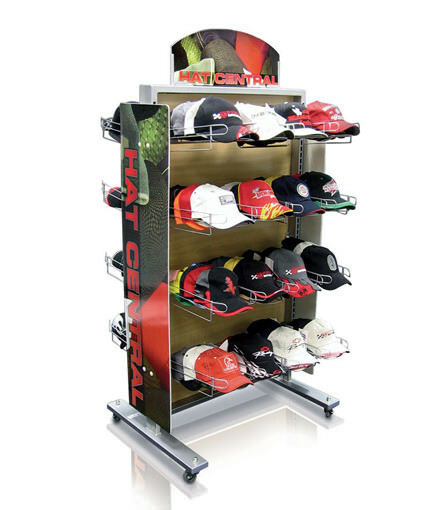 Moreover, this hat display stand can be used in almost any retail setting, including convenience stores, auto parts stores, mass market retailers, gift shops, airport stores, sporting goods stores, and many types of specialty retailers. It is a perfect fixture for a large chain-wide rollout, but also effective for single store or small chain applications. 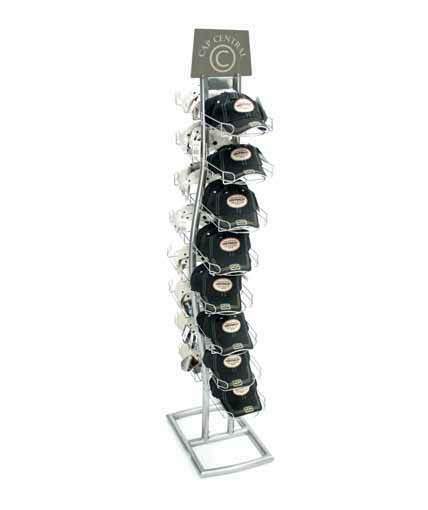 We can help you customize the CAP-3 cap rack to meet the needs of your particular program. Time-tested and highly durable, you won’t be disappointed with the CAP-3’s ability to increase your headwear sales. 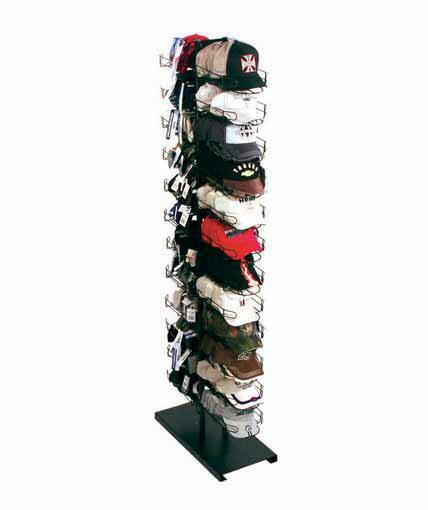 Make the CAP-3 your next cap rack.